Productions in the Players Theatre on the High Street will continue during the summer as it is proposed that the renovations will now take place in the autumn. It is hoped that the initial work will concentrate on new seating and heating system, making it an even more welcoming place to watch plays, productions and films. 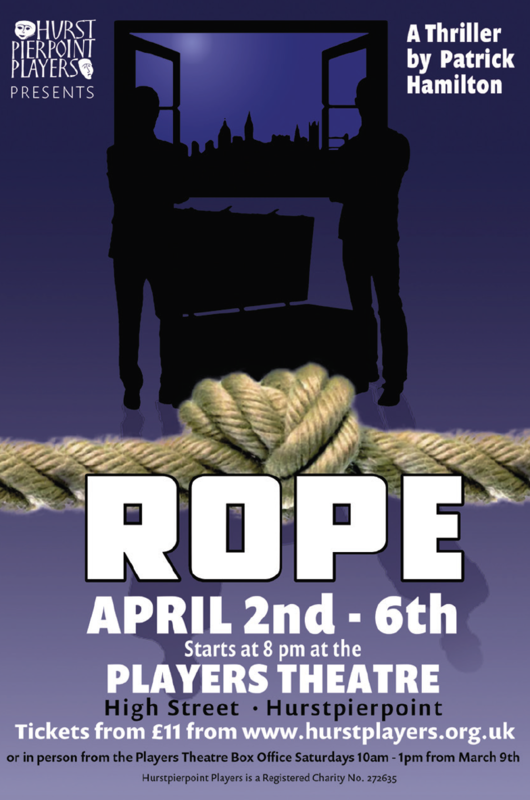 The next production is Rope, by former Hassocks resident Patrick Hamilton, which is being presented by the Players Theatre 2nd-6th April. It’s a mysterious play, a why - rather than who – dunnit! The audience knows from the onset who is responsible for the gruesome murder. The contrasting collection of guests are assembled to enjoy a macabre supper party at the mercy of their hosts’ flawed personalities. Not a play for the kiddies! Where's the nearest defibrillator in Hurstpierpoint? Where's the nearest defibrillator in Hurstpierpoint, Sayers Common and Albourne? At Hurst Life we’d like to encourage everyone living and working in the village to familiarise themselves with the sites of the life-saving defibrillator machines and learn how to use them. Hurstpierpoint has four machines: One on the outside wall at the Fairfield Rec on Cuckfield Road, another is situated at the Bowls Club on South Avenue Rec, a third is inside the Medical Centre on Trinity Road and the final defib machine is mounted on the wall in the alleyway between Morley’s and Olive on the High Street. Although the St Lawrence Fair seems a long way off, preparation is already underway, and perhaps none more so than for anyone who is thinking of entering the Fun Run this year. It has become an integral part of Fair Day and I met with race organiser Benny Coxhill along with two of last year’s winners Laura O’Grady Serrut and Freddie Shalloe. Benny took over the running of the event from Ian Bush ten years ago. “We usually get about 100 people in total, 60 or 70 for the long course and 20 or 30 for the short course, but it would be nice to have a few more. Race Day is Saturday 6th July this year. If you can help in any way email: stlawrencefair.funrun at gmail.com. As many will have seen, the new Village Gateways have been installed at the entry to the two villages of Hurstpierpoint and Sayers Common and in general have been positively received. Most people have commented that they do give a stronger sense of place, which was our intention in putting them in place. Although New Year’s Day will be some weeks past when this page is published, I would like to thank everyone who made the effort to join the ‘Hurst Meadows Guided Walkabouts’ on that day. Some eighty people in total took part in the two walks and, from the lively discussions that took place, thoroughly enjoyed the guided tours of the three meadows which make up the fifty acres that now belong in perpetuity to the community. My thanks to Cllr. Claire Majsai and Advisory Board member Helen Brangwyn for organising the event, which will be repeated at Easter when the new orchard has been planted. At its recent January meeting the Parish Council approved its budget for the year 2019-2020. In looking to next year we have taken account of our proposed management of the new Court Bushes Community Hub which will open in the spring. The new community building will be a flexible space that can be used in different ways by local community groups. A large hall area will be available for social functions or as a venue for activities like exercise classes and it is hoped that a nursery provider will use the space to provide local childcare. While MSDC has made most of the investment in refurbishing the building, it is proposed that the Parish Council will be responsible for the day to day financial operation of the Hub. MSDC will consider our management proposal in March, but meanwhile we believe that it is right for us to make provision to fund the early days of this hugely worthwhile project. 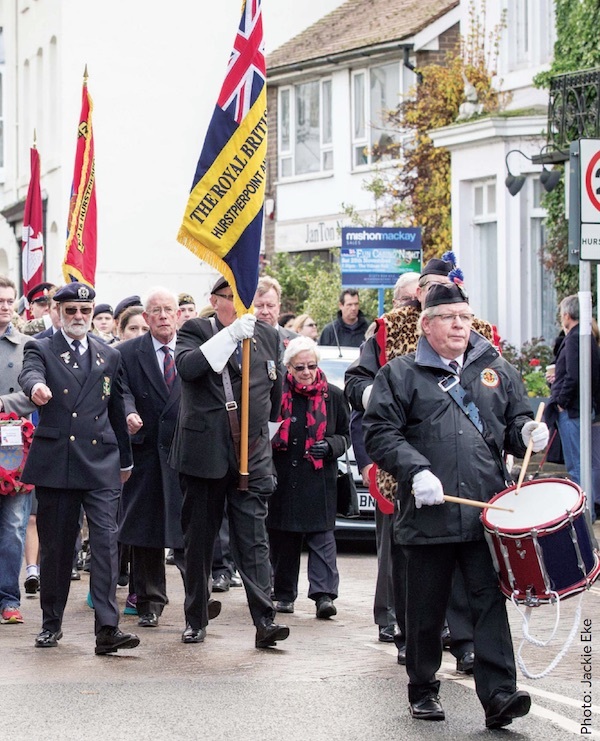 In order to make sure we can do this while continuing to balance our budget, we have increased our Band D council tax by 5% which equates to an additional £3.42 per household per year. This budget and the financial results for the year 2018-2019 will be presented as usual at the Annual Parish Meeting in May. Finally, in May there are local elections, including the chance to elect a new Parish Council. Anyone wishing to stand for election should contact the MSDC election office for further details. The deadline for candidates to submit nomination forms is 3rd April 2019. Hurst College students sit on 'top of the bench'! A team of students from Years 9, 10 and 11 at Hurst College won the Top of the Bench chemistry competition held in Lewes. Lottie Ashton, Thomas Manchester, Saoirse Osbourne and Oscar Jaffe performed well in the annual competition run by the Royal Society of Chemistry, to take the title from Brighton College in second and Eastbourne College in third. Both Year 9 students, Lottie and Tom, carried out an investigation into reactivity and displacement reactions. Saoirse investigated rates of reactions that involved reacting magnesium with an acid, and Oscar carried out a titration to determine the concentration of hydrochloric acid. The team then came together at the end to compete in the multiple choice quiz. Download the guide to everything that’s going on at churches in Hurstpierpoint at Christmastime 2018! 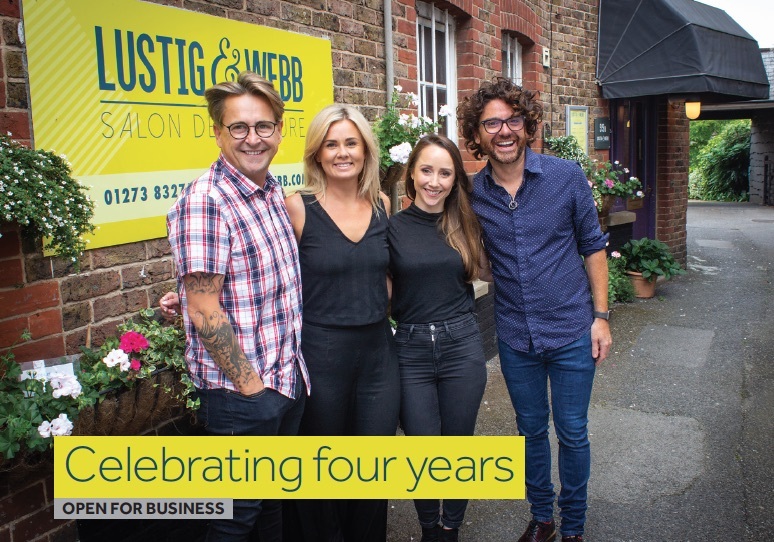 Hurst Life is the community magazine for Hurstpierpoint in West Sussex, and it’s printed every month and distributed to all the homes in Hurst, Sayers Common and Albourne via a team of professional delivery agents.